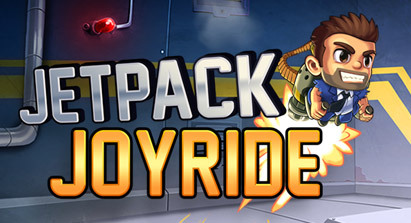 Home › Games › Jetpack Joyride FREE! Jetpack Joyride, an awesome game for the iOS devices is still free at this moment. Get it while you can. Fly around collecting coins, try out different vehicles and level up by completing missions; all while dodging obstacles that can fry you and send you skidding across the ground on your face. Scoring how far you went in distance for that turn. And at the end if you collected token(s) you can then play the slots for the possibility of other prizes. Very addicting. I complete a mission and the new one is challenged and I definitely have to take “just one more turn”. From Halfbrick Games, who have brought us Fruit Ninja, Age of Zombies and Monster Dash. To say is doesn’t take much skill would be a lie, but like most of their games, interaction is just one function; to press or not to press. Which translates to fly or not to fly.